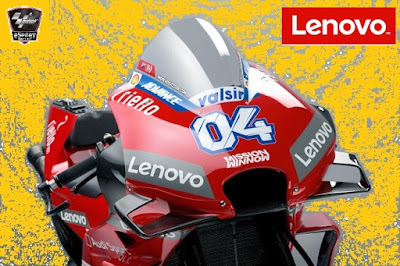 Lenovo signed a multi-year sponsorship deal with the Ducati Team competing in the MotoGP World Championship, continuing the company's ambitions to become one of the world's most admired and globally recognized brands. Lenovo has been the key technology partner for Ducati since the 2018 season, which will include the team using Lenovo's PCs, tablets and servers both on and off the track. The partnership also includes co-development and collaboration on product R&D as part of a program to further accelerate the team's progress and success. Lenovo's first race with Ducati was on 8th April, 2018 at the Autódromo Termas de Río Hondo, Argentina.